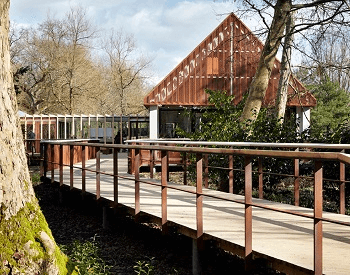 New Mottisfont Visitors Facility has been awarded an RIBA South Award for 2016. This was delightful project to be involved in – and worth a day out with the family to Visit the stunning house and grounds at Mottisfont. A Striking Building in such a beautiful location. Cor-ten Curtain walling and Shop Glazing.